Visit Mercedes-Benz in Colorado Springs to test drive the 2016 E-Class Sedan. The front end is equipped with full LED headlamps to light your way. The LEDs are brighter and whiter, which keeps them more in tune with the human eye, improving your ability to see well at night, and increasing daytime presence. All exterior lamps on the E-Class Sedan are LEDs, from the daytime running lamps to the bold sweeping tail lamps on the rear. The 2016 E-Class Sedan will keep virtual eyes on the road, and provide real actions. Through the use of cameras and radar sensors it is able to brake to avoid collisions, sense if you’re getting drowsy, and even react to pedestrians and cross-traffic. Available on the 2016 E-Class Sedan are four advanced engines, all from one single inventor. The engines range from best-in-class efficiency to an engine that leads the class in acceleration. The E-Class will motivate your spirit and your senses with the available power. Through technological advances that Mercedes-Benz has invented the E-Class is able to turn less fuel into more torque. The available engines are the gasoline powered V-6, a biturbo V-6, biturbo V-8, and the twin turbo 4-cylinder BlueTEC® clean diesel. Now is the time to test drive an E-Class Sedan! 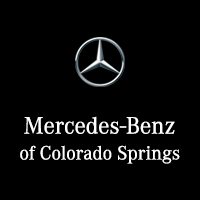 Visit Mercedes-Benz of Colorado Springs to check out our inventory, and fall in love with the E-Class first hand.